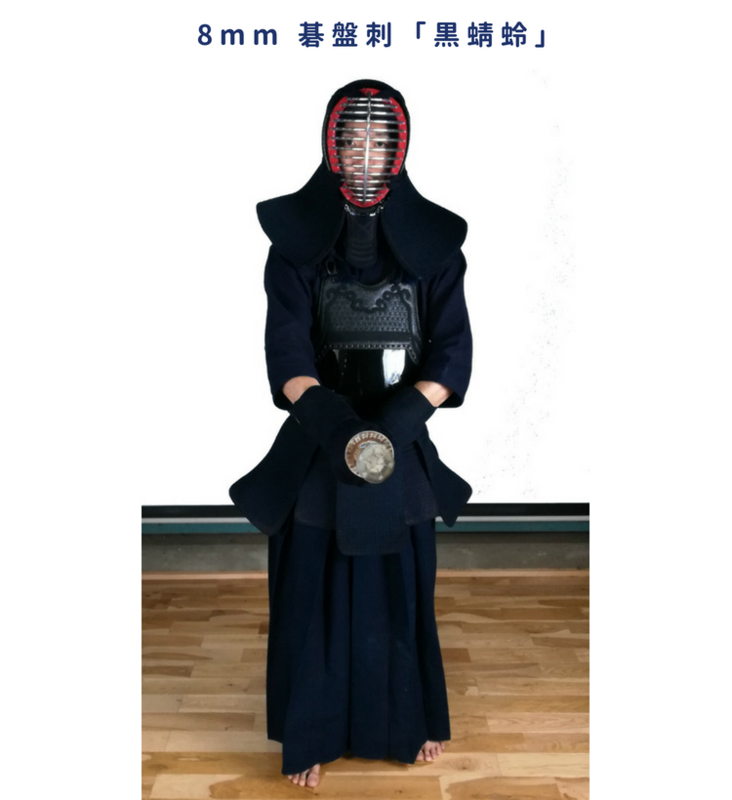 8mm Goban Cross Pitch "Kuro Tombo"
This bogu features a special 8mm goban stitching going both vertically and horizontally across the men buton creating a waffle-like appearance. 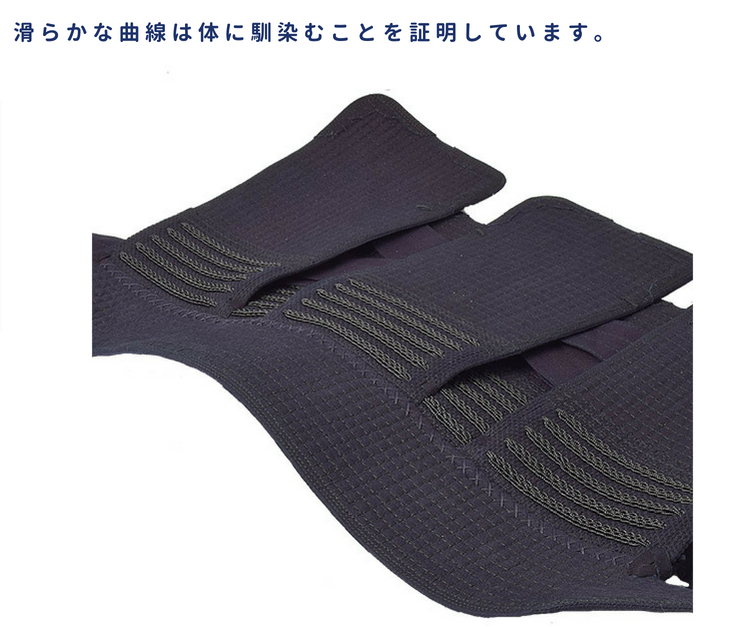 The slight unevenness in the men's texture, as seen below, improves shock absorption and helps the bogu mould seamlessly to its user's body. 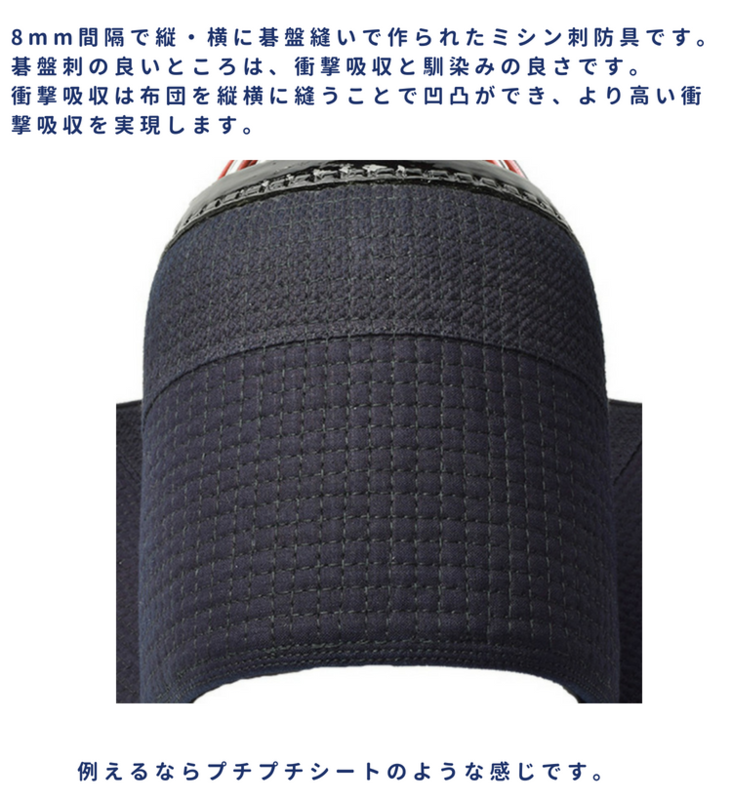 "Kuro Tombo's" exclusive stitching promises superior protection compared to other bogu on the market. Each bubble-like bump can be comparable to that of a bubble on a sheet of bubble wrap, functioning to provide ample cushioning and shock absorption. Despite the flexibility and softness, the materials retain a certain degree of firmness, which helps the bogu maintain its shape. 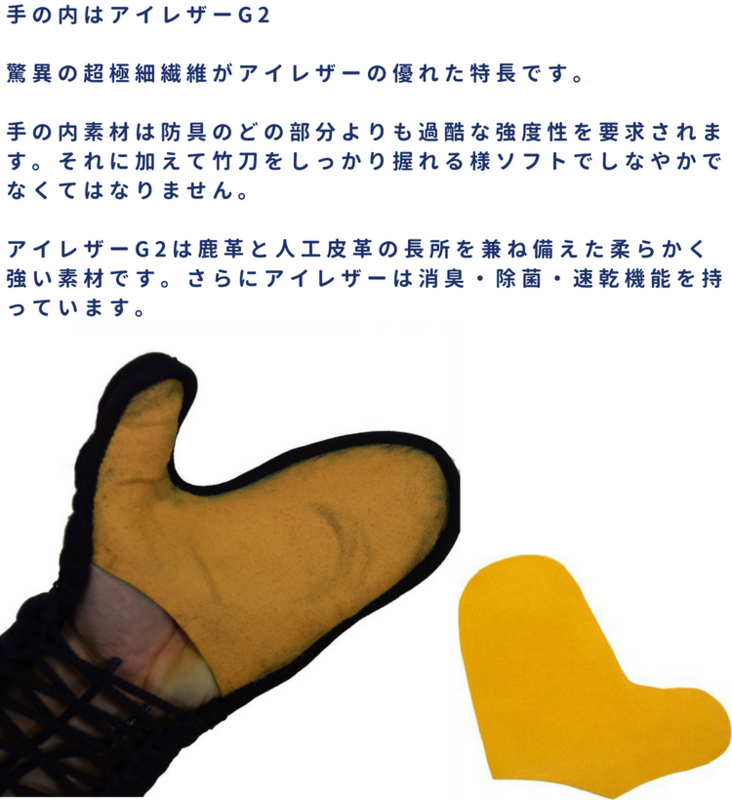 Both the tsukidare and heri are made with aizome dyed genuine deerskin. 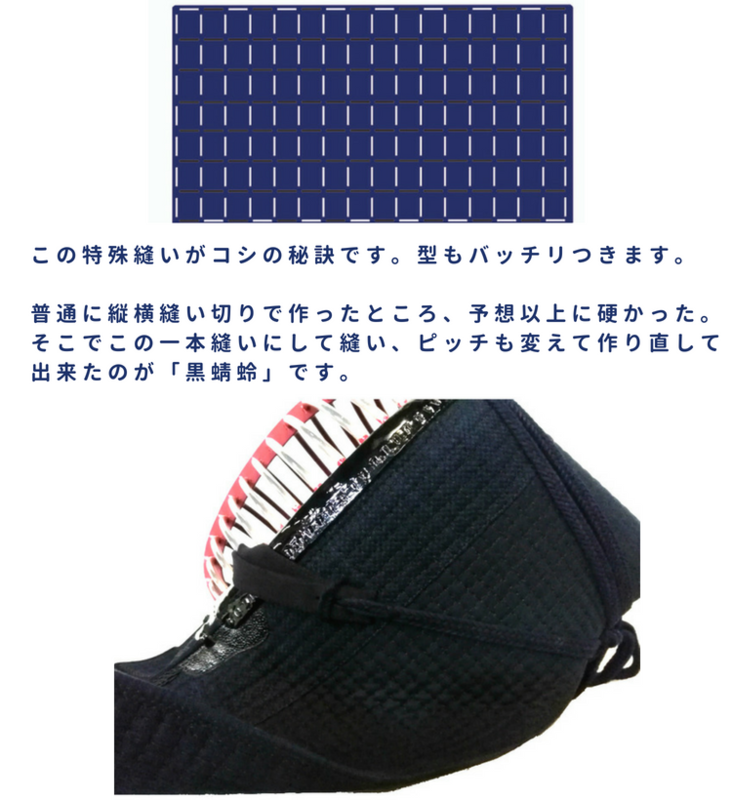 This means that over time, the tsukidare, heri, and menbuton will transform into a beautiful faded blue (synthetic aizome does note fade in the same way). 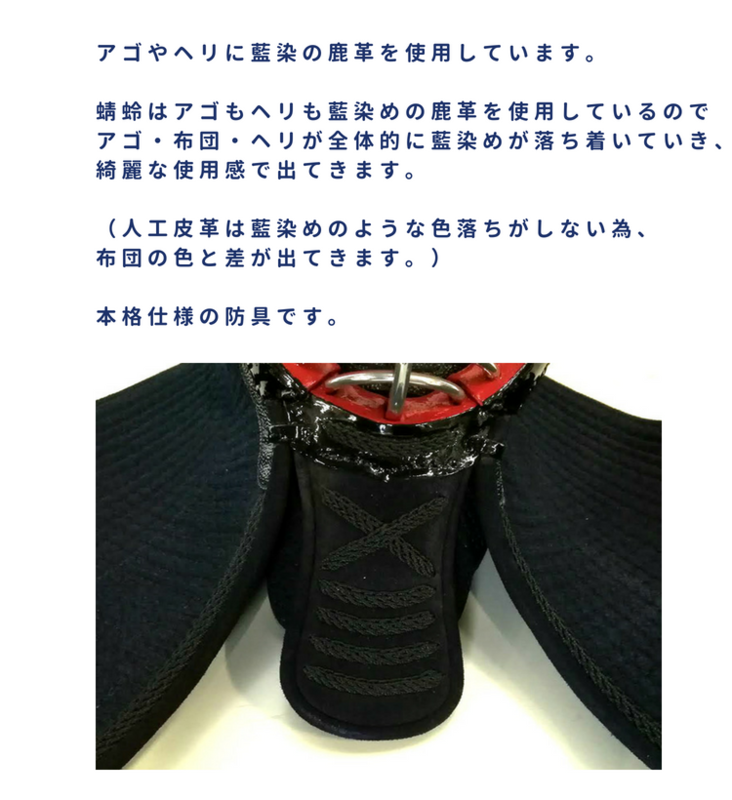 The palms of "Kuro Tombo" kote are made with ”Ai-Leather G2" technology, a new type of synthetic leather developed especially to be used in kendo equipment. ”Ai-Leather G2" takes the best from synthetic and genuine leather, it's extremely durable yet soft and flexible to the touch. It also features antibacterial, odour eliminating, and quick drying properties. The gentle curves as seen in the picture of the tare below displays the superior moulding quality this tare has to its user's body after use.